“Some years ago, I sat down to set some goals which would have long ranging benefits for my own family, and for over 6,000 other families who have a child with Down syndrome. In my own case, having two children with Down syndrome made me painfully aware of just how inadequate our government services are in providing for the future of my kids. Most children with Down syndrome will have difficulty in learning many of the simple tasks which so many of us take for granted such as feeding, walking and talking. And support services are just not there for so many families. “When I asked around, I discovered that it was not just my own children’s developmental needs that were suffering, but that parents countrywide had the same concerns and complaints. What could we do about it? 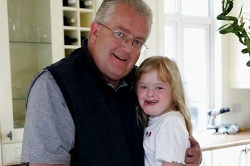 From this frustration sprung the establishment of The Down Syndrome Centre – a charity that would fundraise a centre where the progress of people with Down syndrome could be proactively supported and encouraged from birth by dedicated medical and educational professionals. In October 2014, we opened that centre. Our centre is the only one of its kind in Ireland. Though it is only a short amount of time, it has already established itself as a place where families can come and be guaranteed support, a friendly welcome and a chance to chat with people who know exactly what they’re going through. Generate a greater degree of professional expertise in the area of early intervention services for people with Down syndrome in this country. 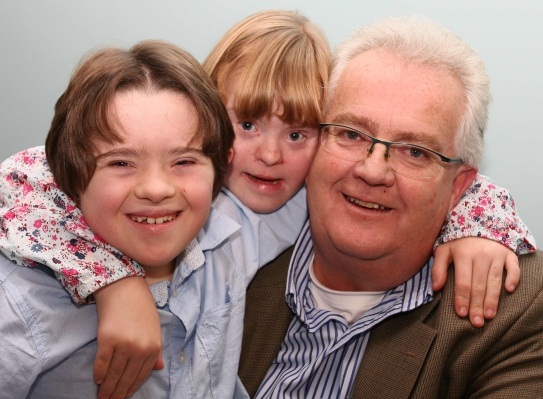 Provide a permanent home for the headquarters of The Down Syndrome Centre. Create a family-focused service which embraces the needs of the whole family unit, and not just those of the person in the family with Down syndrome. Establish a ‘homeplace’ of help, support and advice for the child and family throughout their lifetime. To offer a first and last port of call to many parents, who are battling with the frustration of not having access to an adequate level of service in Ireland. A lot of these goals have already been met, but a few still remain. With your support, I hope we can continue to welcome families into world class centres all over Ireland where their children can thrive. But we need your help. If you are interested, the first thing you can do to help is to check out our Support and Fundraise section.